One of the newest technologies that will transform the everyday life by using renewable energy are the solar roofs. Their green technology is the future in generating energy for housing. They complement the style of every home and use the sunlight to produce electricity by converting the solar power into energy. This energy can be stored in Power walls, collected during the day and it can be used anytime. This is also very helpful during power outages because it helps to keep the electrical equipment working during an outage. There are many benefits in having uninterrupted energy supply and excellent reliability during network disruptions. This make the whole system more reliable. It also makes your home a power supply just for you. There are glass tiles on the sunroof that are guaranteed for life. You can find two types of these glass tiles, sunroof and normal tiles. The glass that the tiles are made of is tempered glass and is many times stronger than the normal one. It brings the sustainability to another level. Also there is the possibility to adjust how much electricity is produced from your Solar Roof. The reason why solar tiles have a forever warranty is their amazing strength but there is one down side. Because this glass is so strong it is very difficult to cut it into smaller pieces like tiles that need to be placed by the chimney or at the edges. That is why the normal roofing is made, and on these places the tiles that are used are weaker and they also are easier for cutting the tiles to a size. 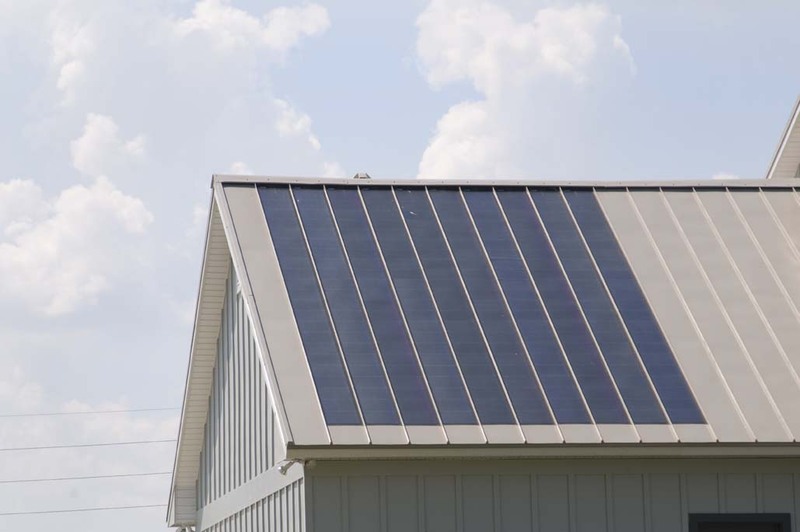 Just like the forever warranty for the solar roofing/tiles, there is a warranty for the power walls that is around 30 years, for weather resistance and more. The roof slope can be from 14 to 90 degrees. And there are special classes for hail, fire and wind resistance. Another thing that we need to pay attention to is the steel sheet that can be galvanized which means that is coated with a zinc compound. This is all done before the steel is reheated in a different process called annealing. The zinc atoms diffuse into steel atoms and they create the zinc-steel series alloy. This is a very interesting process that we mentioned before and it is called galvanization. The product can be made of different metal components and have different properties, sizes and uses. There are galvanizes steel sheets produces through continued process of galvanization which is superior in zinc adhesion and this galvanizes layer will never exfoliate. The better one of two types is the hot-dip galvanizes steel sheet which is made in vertical furnace and it is better because of it is formability and it can be used in many applications just like the roofing. It has very high hardness and in some way low ductility. All products that use this procedure, regarding their coating weight are produced by the customer’s orders and changes of any kind can’t be made later. There is also a roofing material called PPGI(Prepainted Galvanized) steel. if you want to know more, please click here.